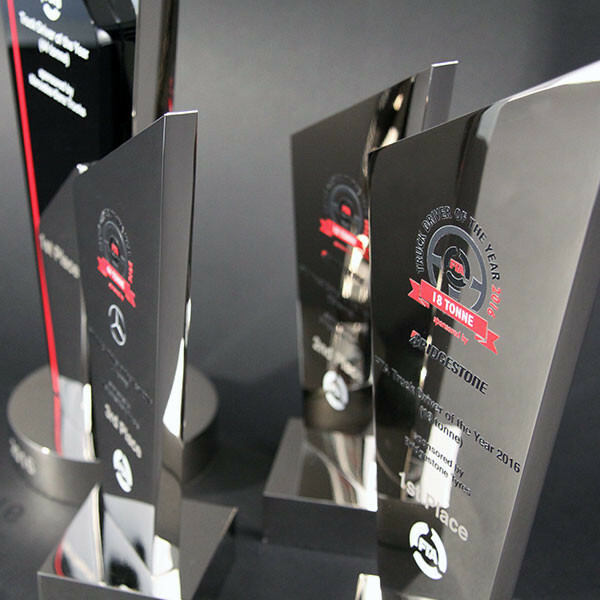 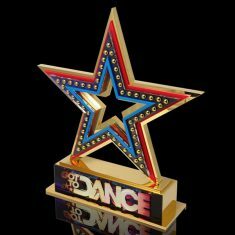 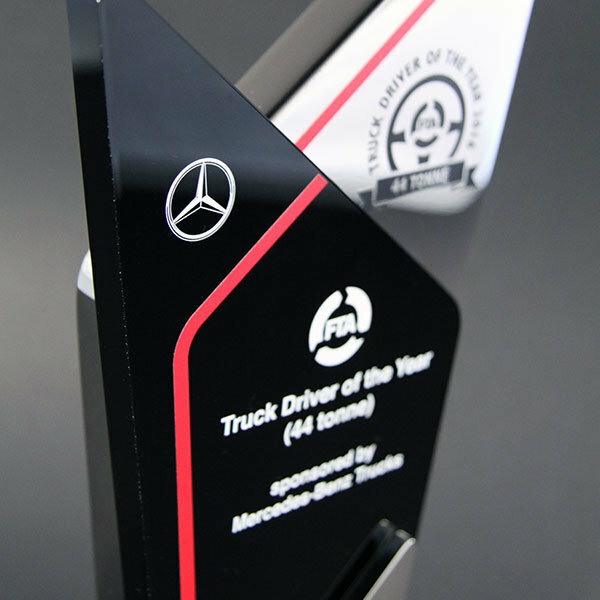 Distinctive polished aluminium trophy with laser cut glossy black acrylic. 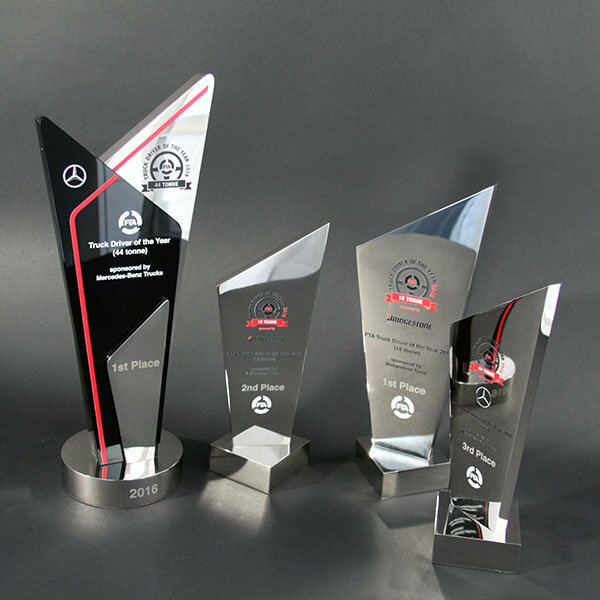 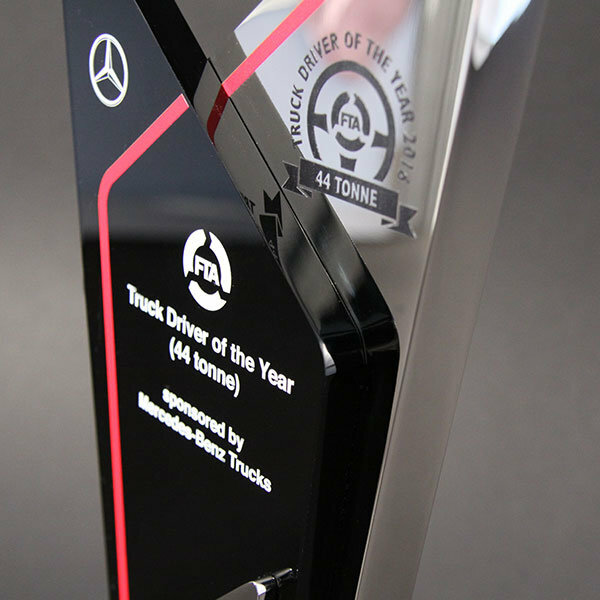 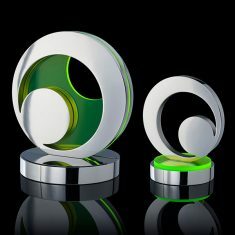 This trophy forms part of a range of trophies made for Mercedes all with full colour printed detail. 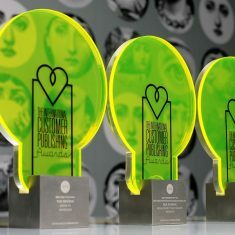 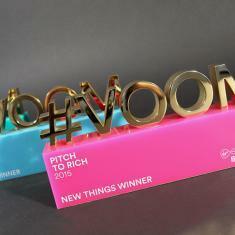 Each award is personalised by printing onto the front of the award.